Changing a career path becomes more difficult with age. Now imagine a career change in your sixties, right when most people are thinking about the end of their professional aspirations. Artist Miriam Katin did just that. In her seventh decade, she became a graphic novelist, not a change you’d expect with the genre’s high concentration of authors under the age of 40. In 2006, Katin penned her first critically acclaimed graphic memoir, We Are On Our Own. In this story, a very young Miriam and her mother are forced from their home in Budapest during World War II after the Nazi invasion. They change their names and go into hiding, managing to stay just steps ahead of German soldiers. This experience marked Katin for life, giving her an understandable reason to despise all things German. However, in the years following the publication of We Are On Our Own, some unexpected news forced Katin to come to terms with her haunting past. Letting It Go is the account of this painful but ultimately inspiring experience. In this, her second graphic memoir, we meet Katin and her husband living peacefully in Brooklyn. Their son Ilan arrives with his girlfriend, a Swedish comic artist. Over a cup of coffee, the son tells his mother not only that he and his girlfriend are moving to Berlin, but also that he wants his mother to help him with the paperwork so that he can become a Hungarian citizen and obtain an EU passport. Katin’s immediate reaction is horror, and she refuses to help her son. But when she realizes that her actions could undermine their relationship, she seeks the advice of friends and loved ones, and eventually relents. On the surface, she puts on a brave face, but underneath she suffers in silence, and her inner turmoil has some very surprising physical manifestations. In the end, she and her husband travel to Berlin, not once but twice, and the trips are filled with some wonderful unforeseen surprises. But we also see that letting go of long-harboured grudges is a very difficult process. Although this might sound like a serious book, there are many light moments that make it an easy read. Katin’s borderless panels have a beautiful flow to them, and many of her finely detailed establishing shots are stunning. My personal favourite was the crayon effect of the choppy river below the Brooklyn Bridge. However, while this book is enjoyable and sends a powerful message, it has one significant shortcoming. Although we can see and hear Katin’s pain in Letting It Go, we don’t feel her trauma. This will be particularly true for anyone who has not read We Are On Our Own. 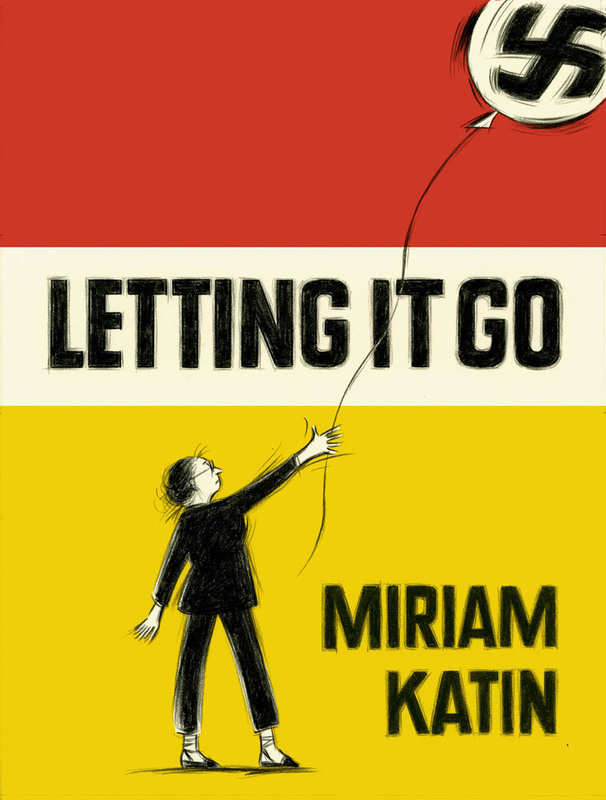 Without having a clear idea of Katin’s past, this memoir loses considerable power. In spite of the book’s many references to the horrors suffered by Jews at the hands of the Germans in World War II, the references are too well known and impersonal to produce the desired effect. A flashback might have helped readers better identify with Katin’s experience. Nevertheless, it is inspiring to read a memoir by a woman in her seventies who is not only willing to share her past, but who also shows us that it is never too late to face our demons. Katin has the courage to tell her story, warts and all, and do it unconventionally with a graphic novel. : Summer Reads: Letting It Go by Miriam KatinTweet this!